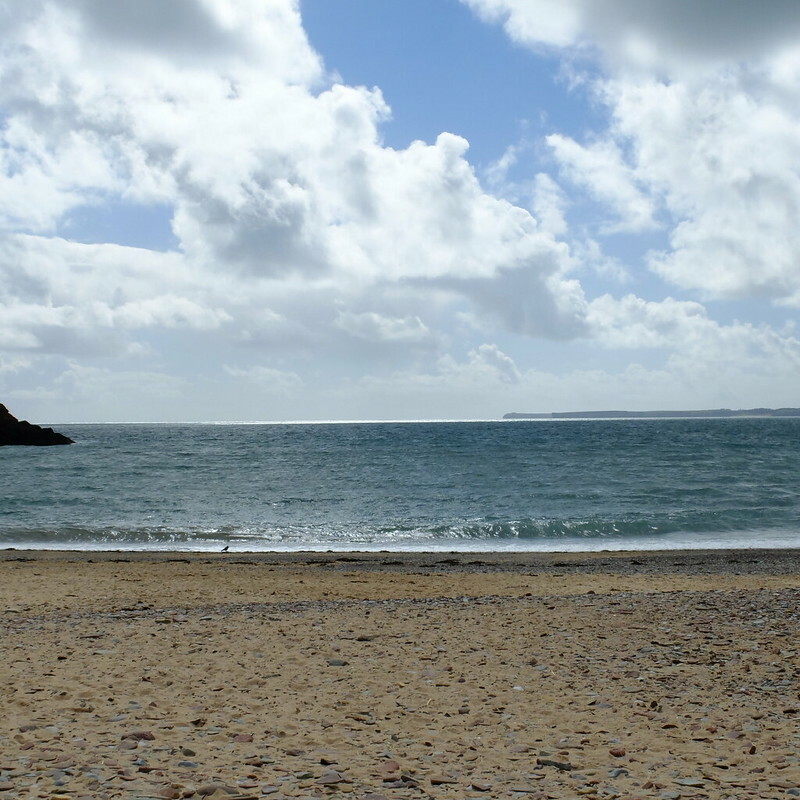 Wherever you are in the UK there are lots of historical attractions and hotspots of charity shops and antiques, and Pembrokeshire is no exception. West Wales is a wonderful area to visit, and on our Bluestone holiday a few weeks ago we did venture off site to explore. 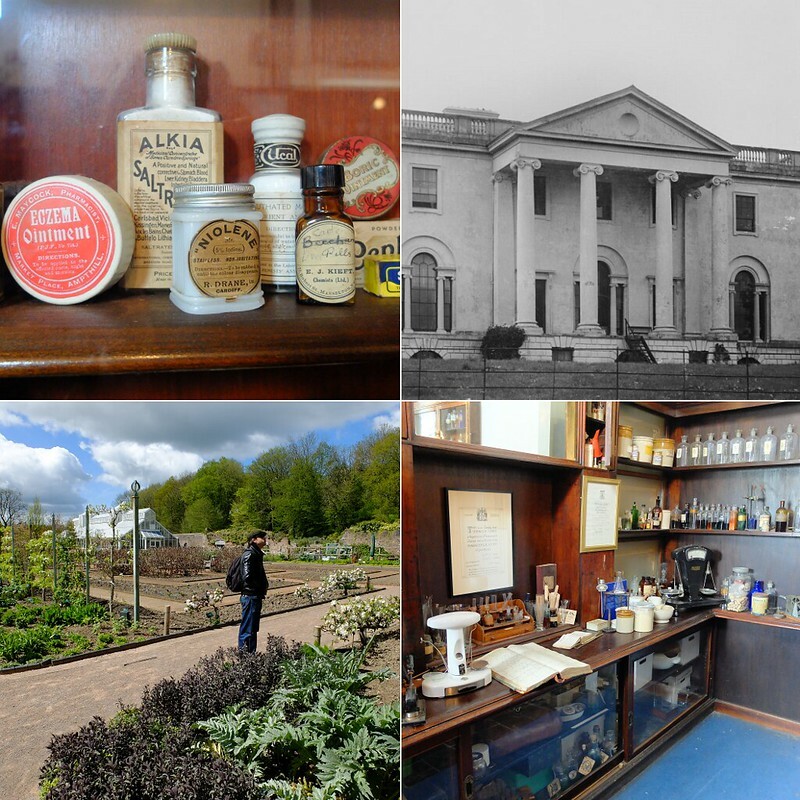 Here's a round up of what we got up to, with some signposting to vintage-related attractions in the area. 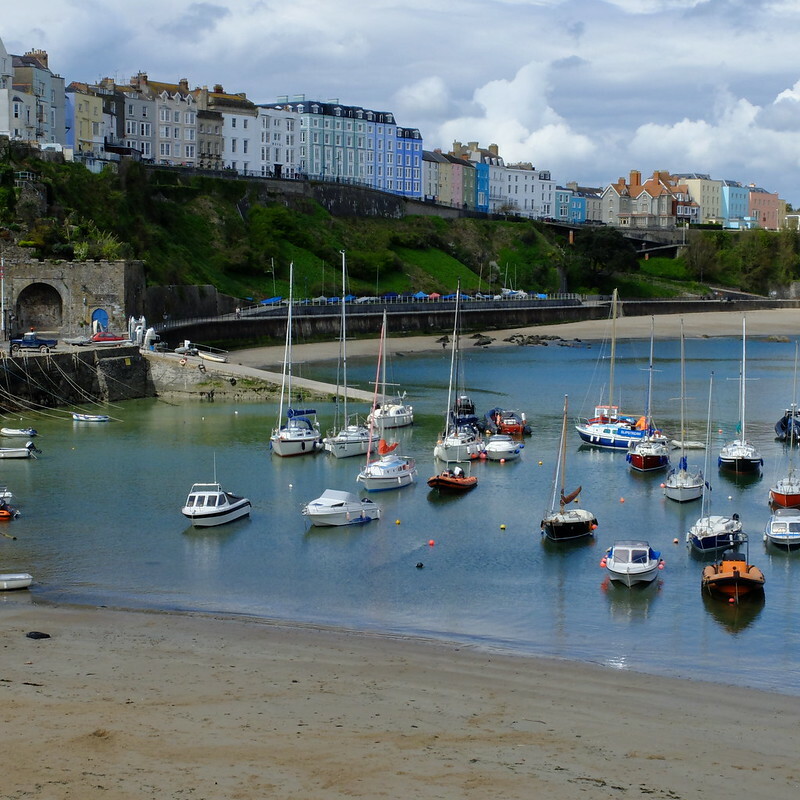 Tenby is a fabulous seaside town and harbour, and has been a popular tourist destination since the early 19th century. The National Trust has opened a late 15th century Tudor Merchant's House to visitors, complete with tudor furnishings and staff dressed in clothes of the era - it's a great option on a rainy day. If the weather's better, then just wandering around the streets you'll see a lot of architecturally interesting buildings, such as the former Assembly Rooms from 1811 and a range of colourfully painted Georgian town houses. 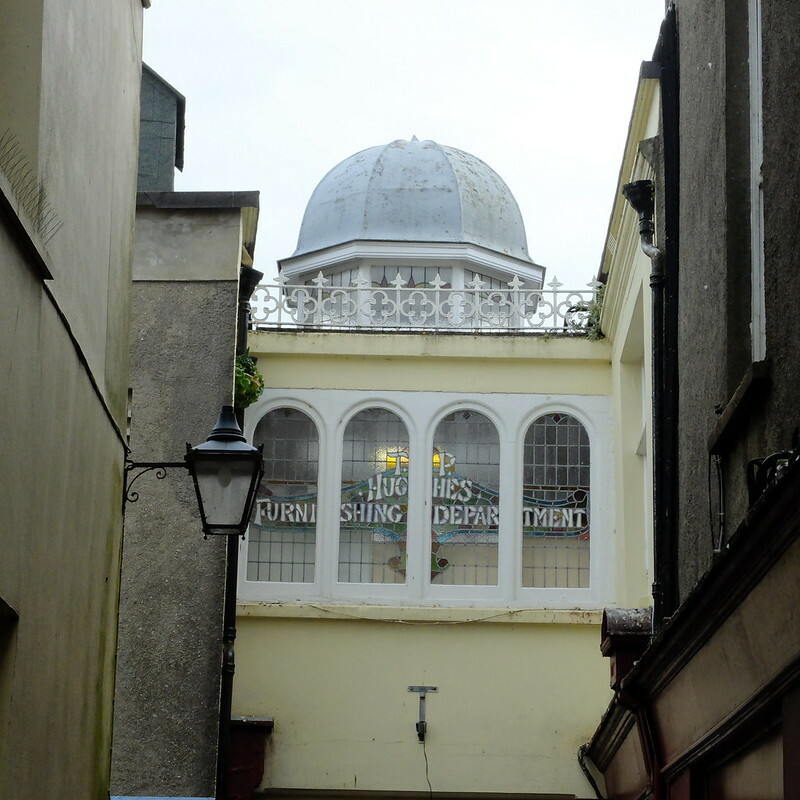 The weather was a little rainy on the day we visited Tenby on this occasion, but we discovered that there are some great charity shops and a few antiques shops, and we whiled away a few hours rummaging through the rails and baskets. Some of the big-name charity shops had found some charming vintage items, such as a game from the 1920s, but these had big prices slapped on them, so we went to some smaller charity shops in the back streets and I came away with some vintage jewellery for a few quid from the Air Ambulance shop. There also seemed to be quite a few vintage handbags around, and an assortment of curiosities such as old photographs and strange leather pouches (what are they for?!). 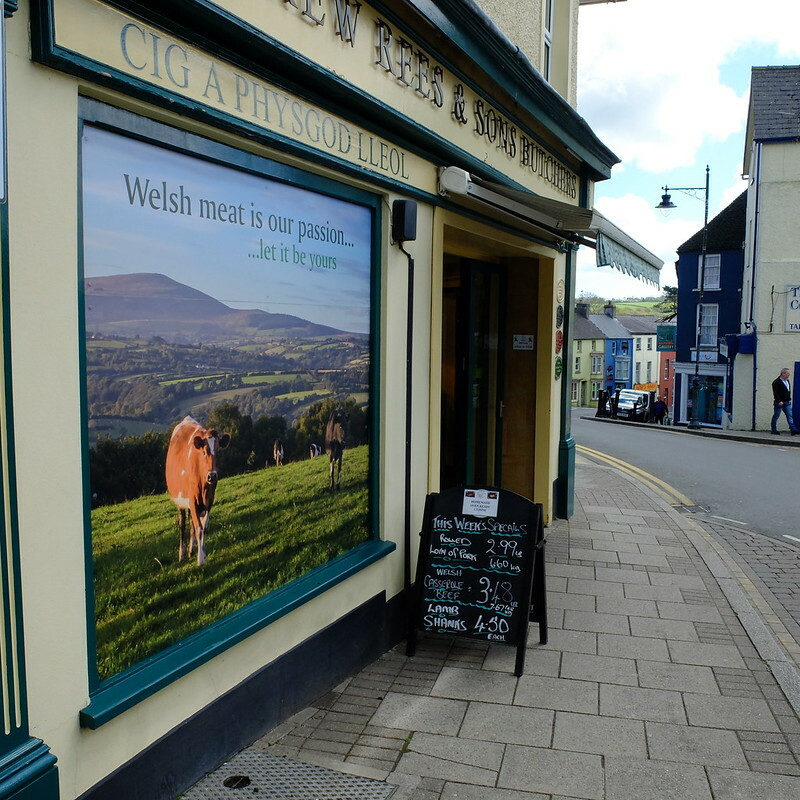 Narberth is a charming and busy little market town situated inland and I was very impressed with how its shopping has developed since the last time I visited. 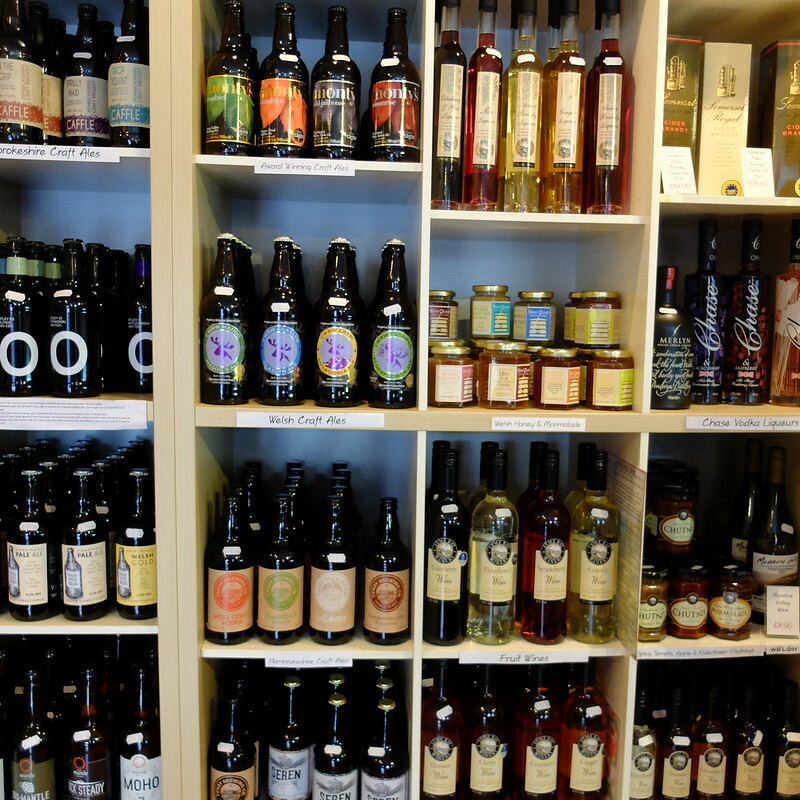 It's full of independent shops, including proper butchers, greengrocers, delicatessens and a range of fab places to eat. 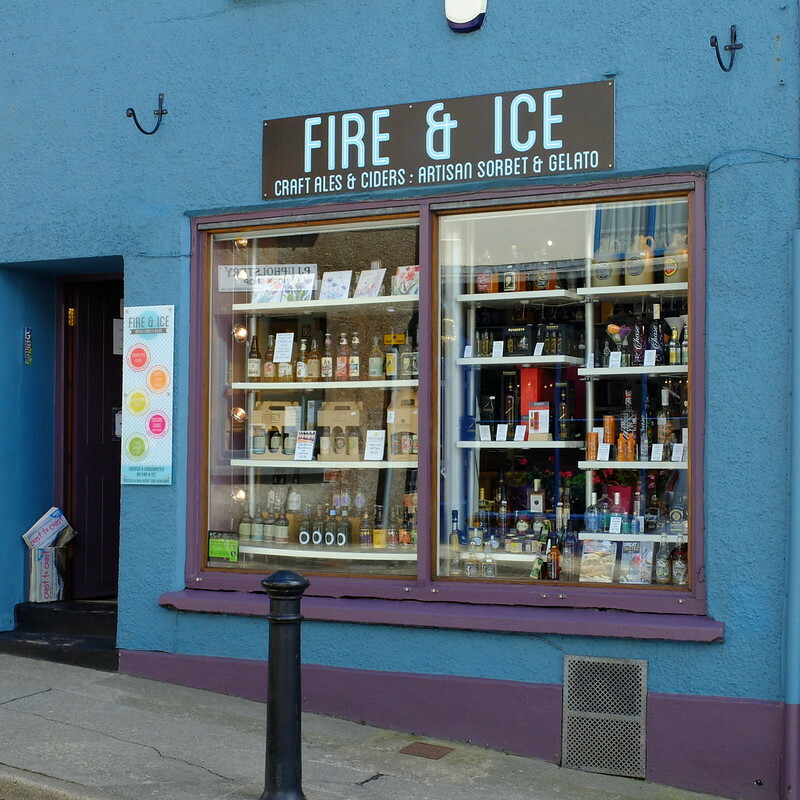 We stumbled into Fire and Ice, a lovely bottle shop, which stocked a great range of local ales, ciders, spirits, chocolate and more. 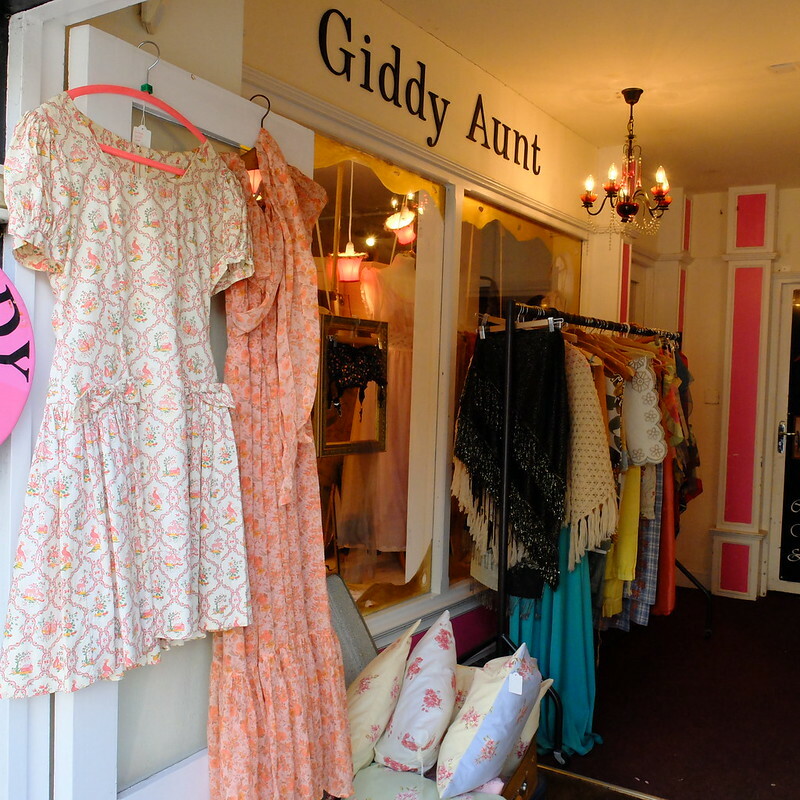 Narberth also appears to be a bit of a vintage hotspot, with retro boutique Giddy Aunt being the most impressive and a 'true vintage' clothing shop, alongside the shabby-chic furniture places. 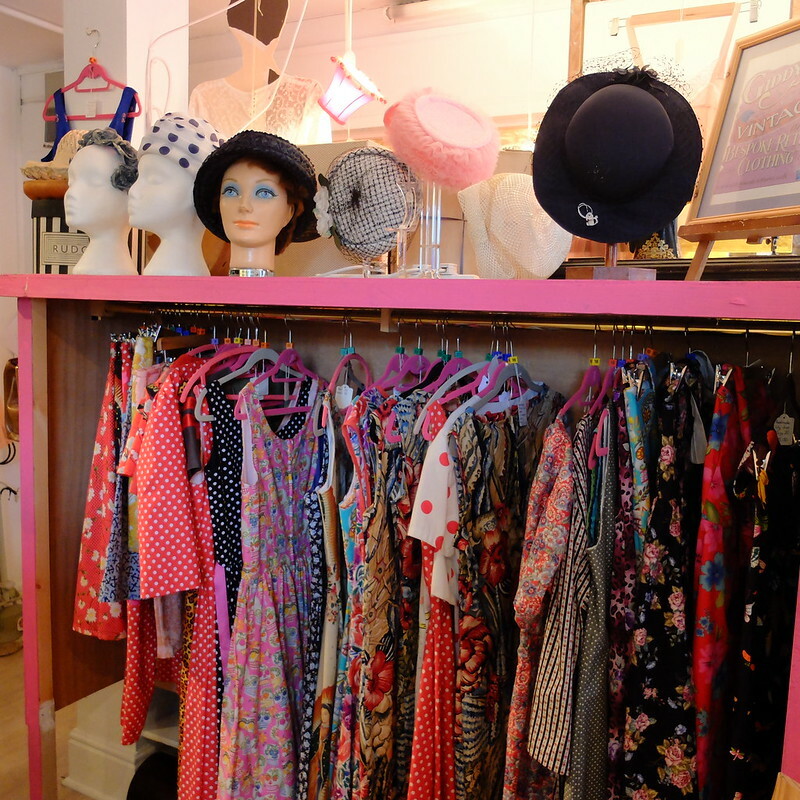 I had a lovely chat with owner Donna, who is very passionate about vintage clothing and makes her own line of retro-inspired clothes, whipping them up in the little sewing area behind the counter. There was a big antiques centre too, that had cabinets upon cabinet of vintage jewellery, but none of it was priced up so I got the feeling if you asked it would be expensive. 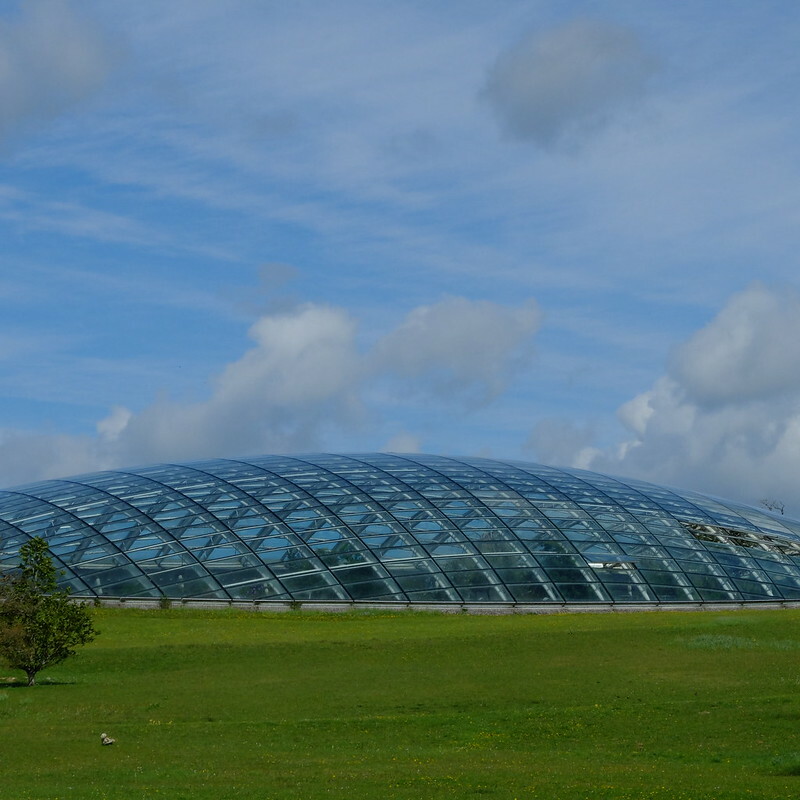 It's not technically in Pembrokeshire, but within easy reach just over the county border in Carmarthenshire is The National Botanic Garden of Wales. 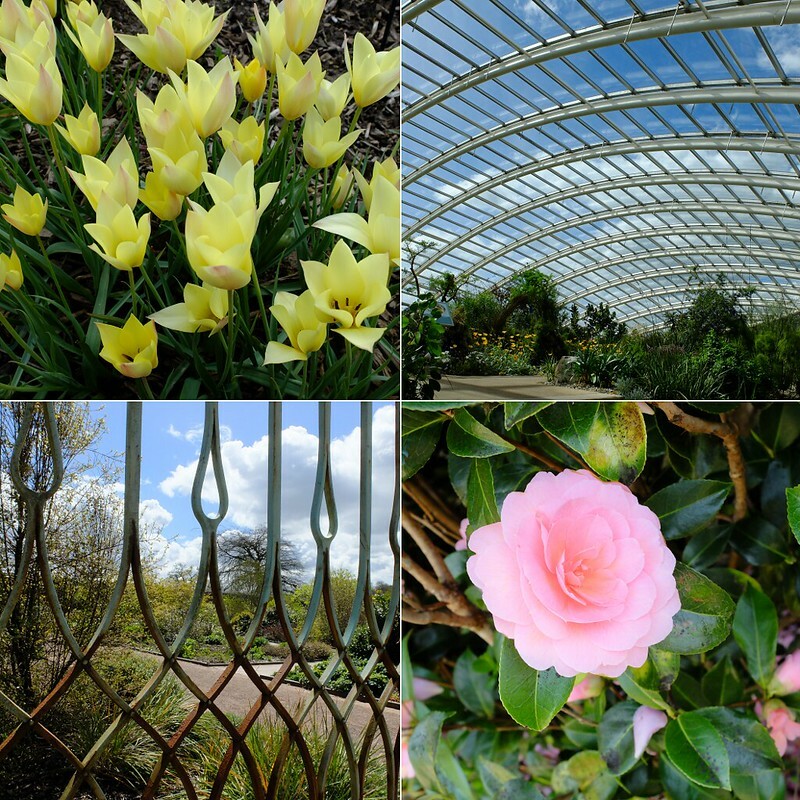 As well as hosting the largest single-span glasshouse in the world (see my previous post here) the gardens hold lots of historical interest, including an Apothecary Hall and the site of a Georgian mansion, Middleton Hall, which burnt down in 1931. To round up a few more ideas in the area for the vintage fan, Folly Farm apparently has an old indoor fair, complete with carousel. There are also lots of castles in the area, if you prefer your history particularly ancient, such as Carew and Manorbier. If stately homes appeal more, then Picton Castle & Gardens is more Victorian mansion than castle, with some stunning gardens to wander around on a fine day. 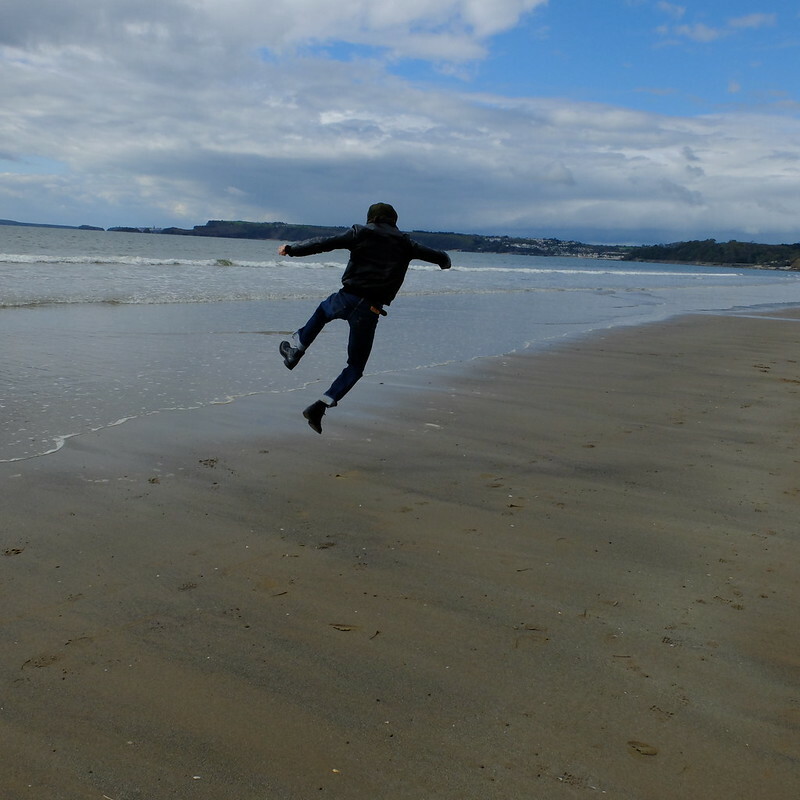 Otherwise, just hop along the coast from beach to beach, taking in quaint seaside places such as Amroth and Saundersfoot. Before staying at Bluestone, we actually booked a B&B for the Sunday night, as our Bluestone break was Monday to Friday and Oakwood theme park isn't open on weekdays until peak season gets going. 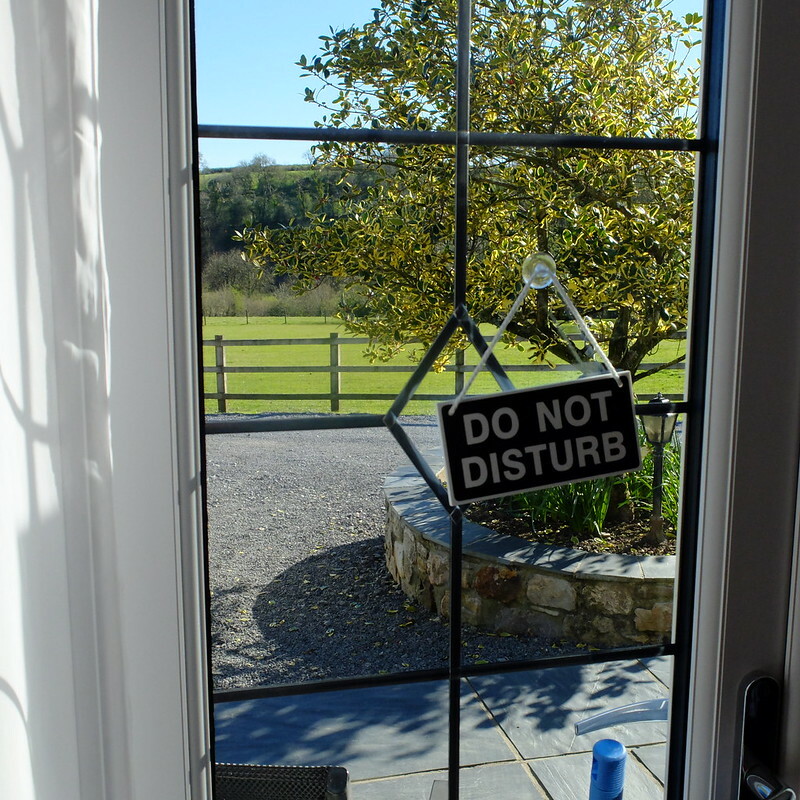 We found the most charming place, Horsemanstone Bed & Breakfast, near to Narberth and Amroth. 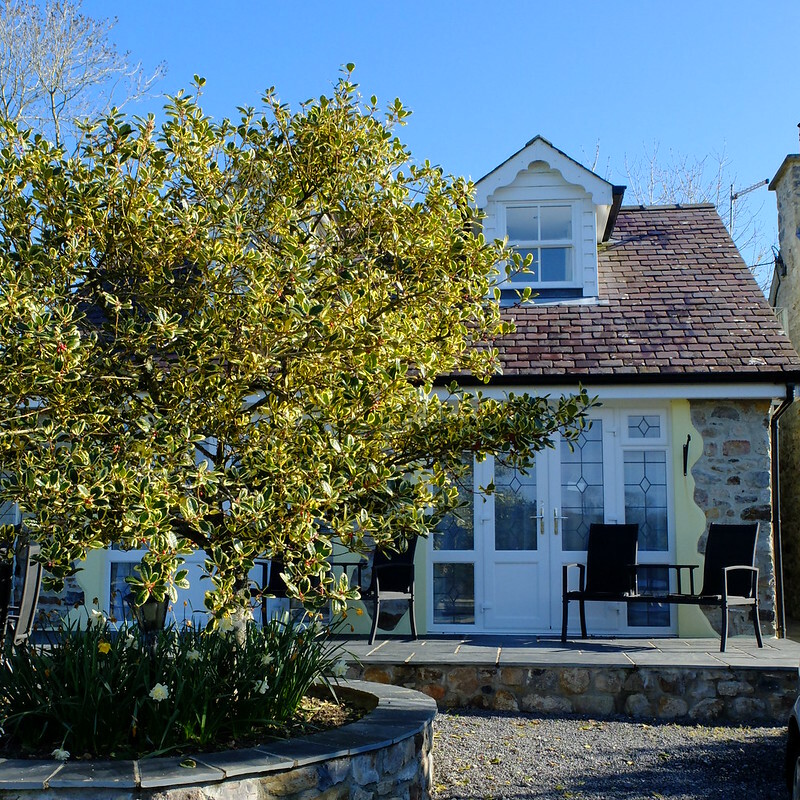 The property has been extended massively over the years, starting out as a four room cottage and is now a large house with separate cottage for holiday rentals, and the former garage now houses four b&b rooms. 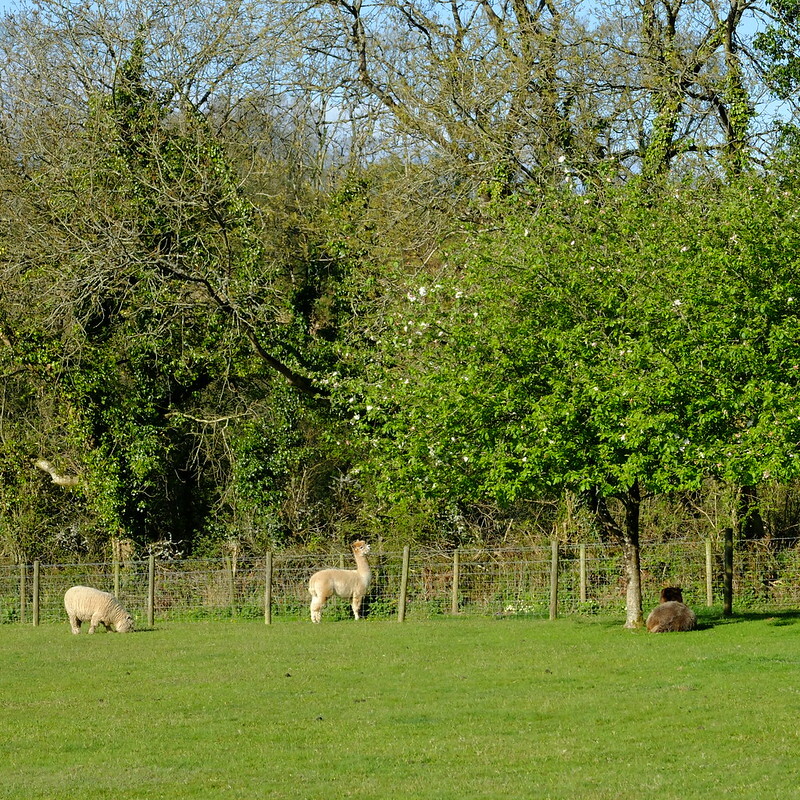 It's all set in lovely grounds with a pond, alpacas, chickens and more. Our room was beautifully done out, like a studio-flat really as it not only had a little sitting area but a tiny little galley kitchenette with fridge and microwave too. After a day on the rollercoasters (where I had a bit of a whiplash injury!) it was lovely to sink into the comfortable bed. A big thank you to the staff there for making us feel so welcome. The fresh-from-the-hens eggs we purchased were particularly good. It was such a wonderful holiday, and we were lucky that even though it was freezing cold, the sun stayed out most of the time. 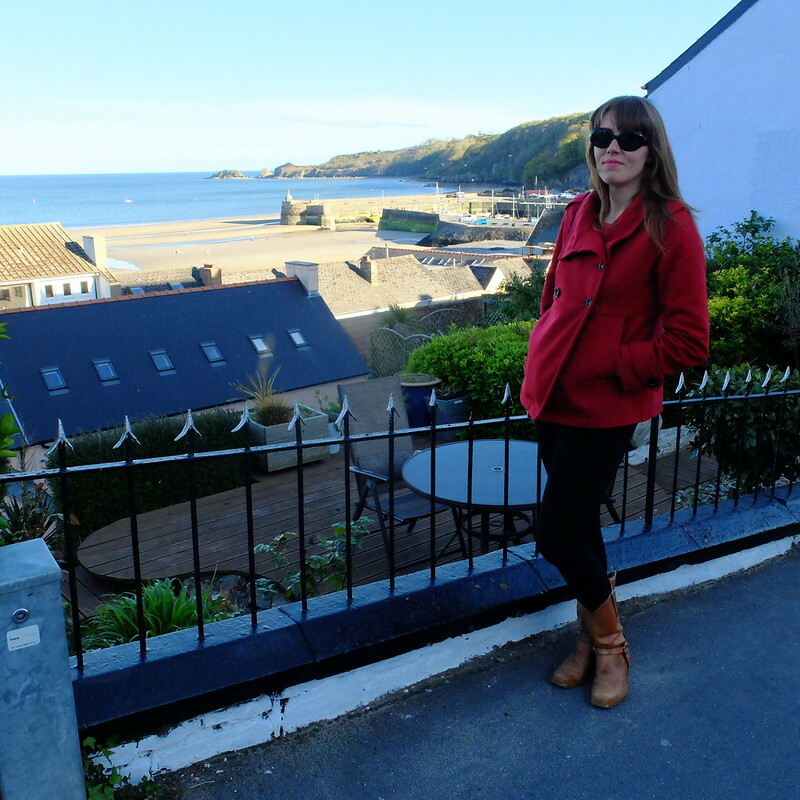 Everytime we go to West Wales we have so much fun exploring new places, and revisiting old haunts, and I'll be sure to do a few more posts in the future about all of the things to see and do in this really beautiful part of Wales. Have you ever been to any of these places? Any more to add? Let me know and I'll include them in a future post! This looks like such a fun, pretty, cheerful corner of the UK. I love the pastel buildings/homes and vintage shops you shared here. That must make for such an enjoyable environment to spend some much needed time off in. Thank you for taking us along on your lovely travels, dear gal. 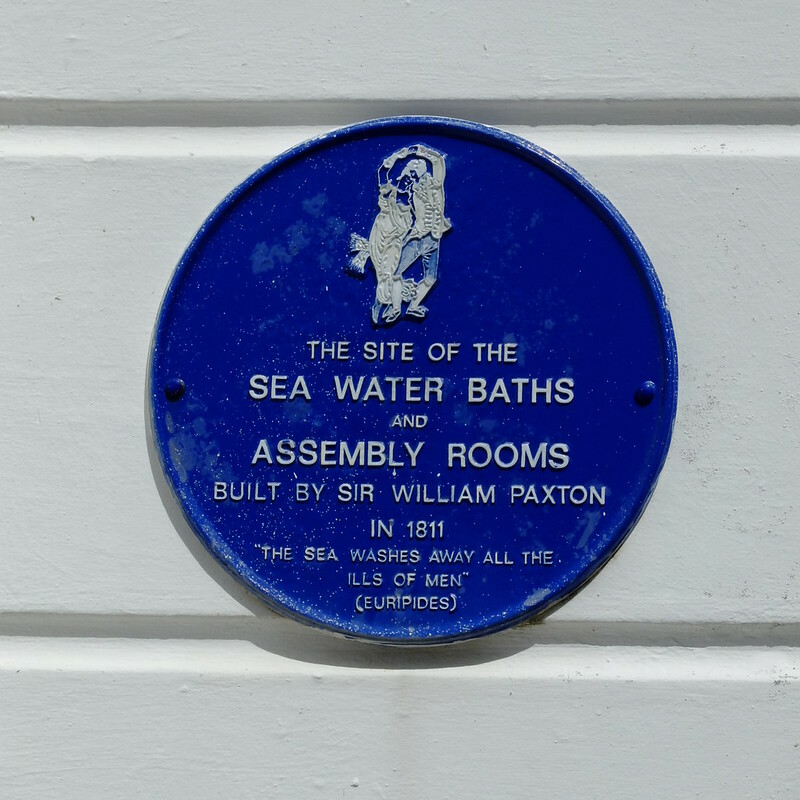 Its been 39 years since I was last in Tenby (the long, hot summer of 1976!) and it looks exactly as I remember it! 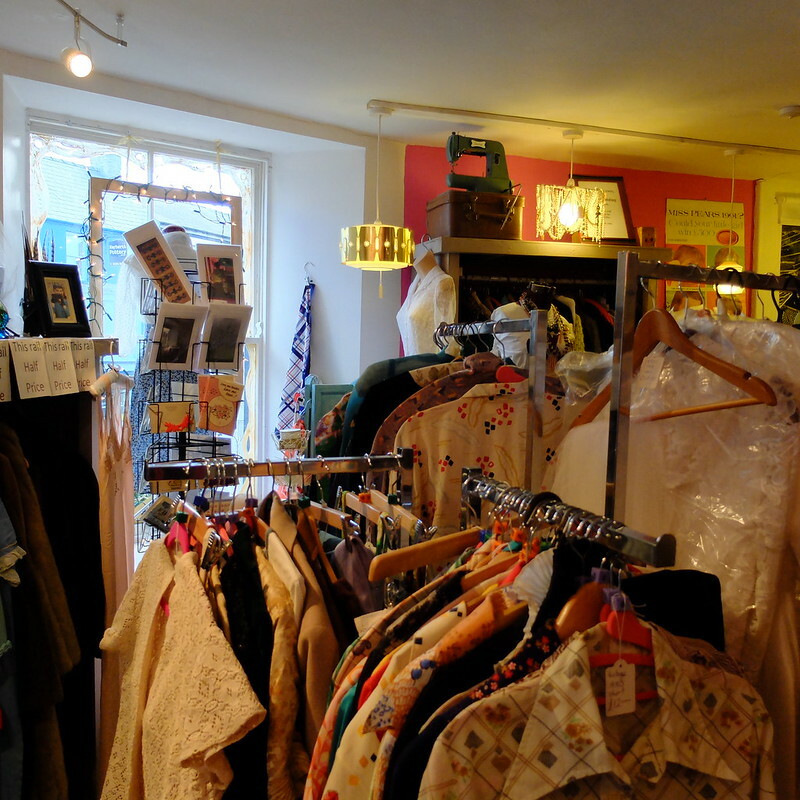 Giddy Aunt looks fab, a rail full of proper vintage. How I loathe those twee "shabby chic" shops. Great pictures - these places look so lovely! Definitely some places I'd love to visit. 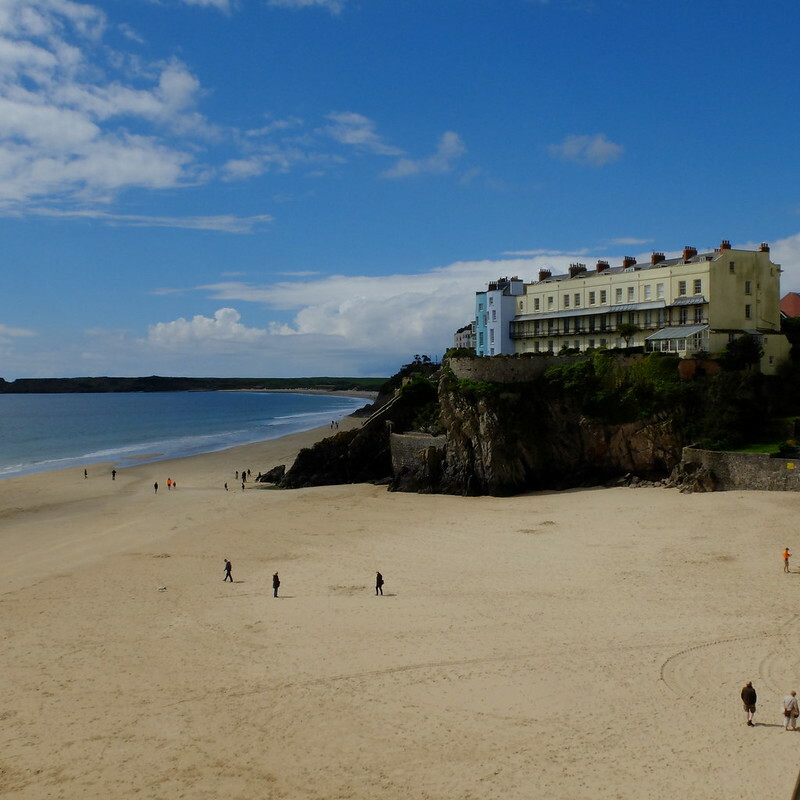 Oooh, I had no idea Tenby was so pretty. What a gorgeous little town. You got really lucky with the weather, too - Wales looks heavenly in the sun. Ooo those shops sure do look tempting!! Ooooh...those vintage shops have me drooling. So many great little spots to explore. Looks like a fun trip. Oh that first photograph and those pastel buildings, like something out of a dream! What a beautiful trip. 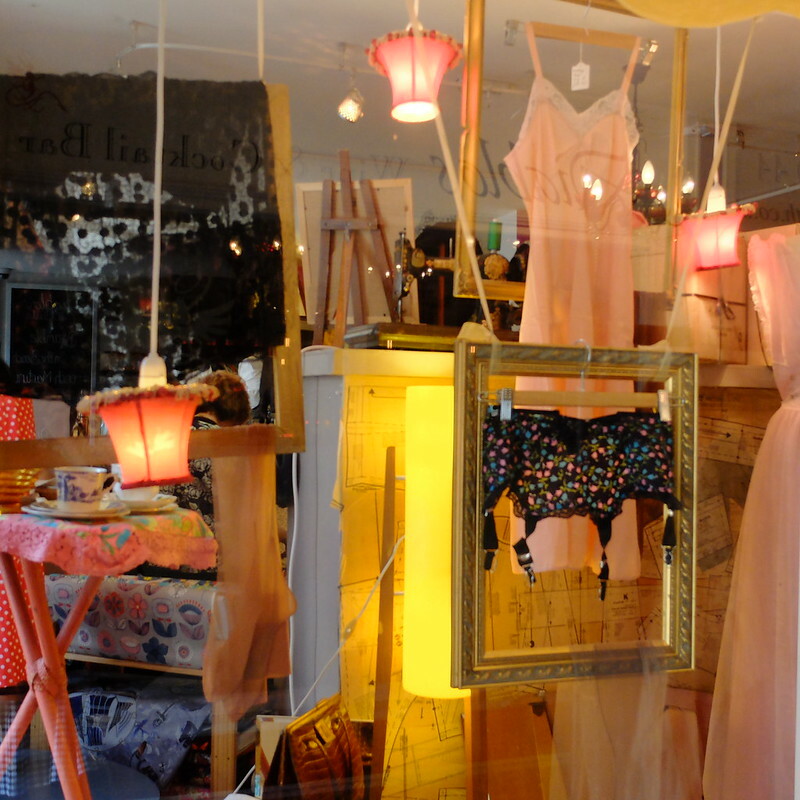 These photos are perfect, especially that vintage shop! Wow, that looks amazing! I've never been to Wales, but I'd guess that water is too cold to swim in! 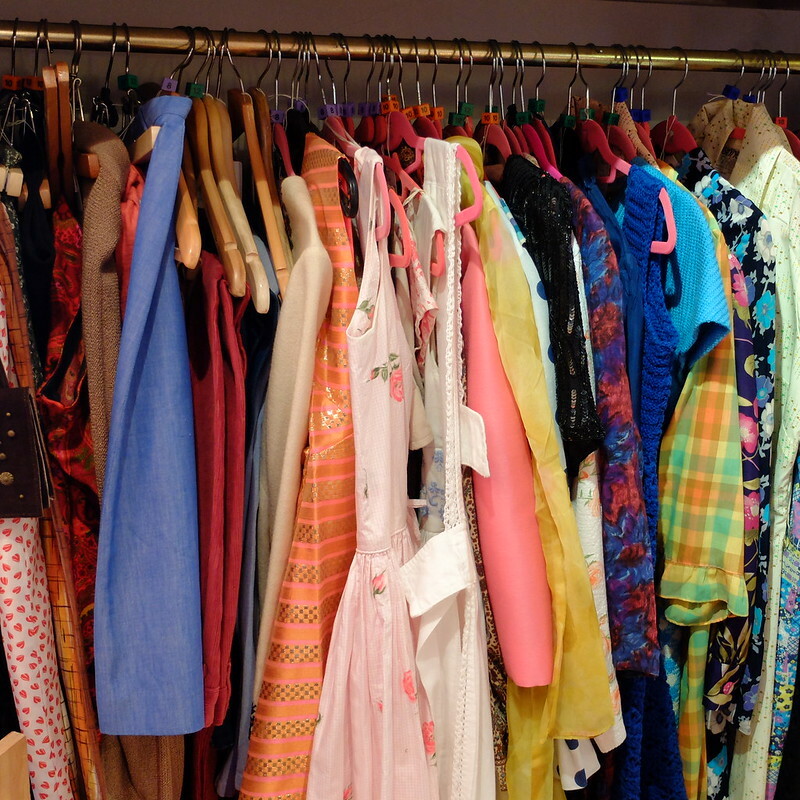 Did you buy anything at the vintage store? Love those bright colored town homes! These are great pictures, thanks for sharing. I need to get myself back to the UK soon. There is so much more to explore. It looks like it was a perfectly lovely time. I just adore these "tours" of the U.K. 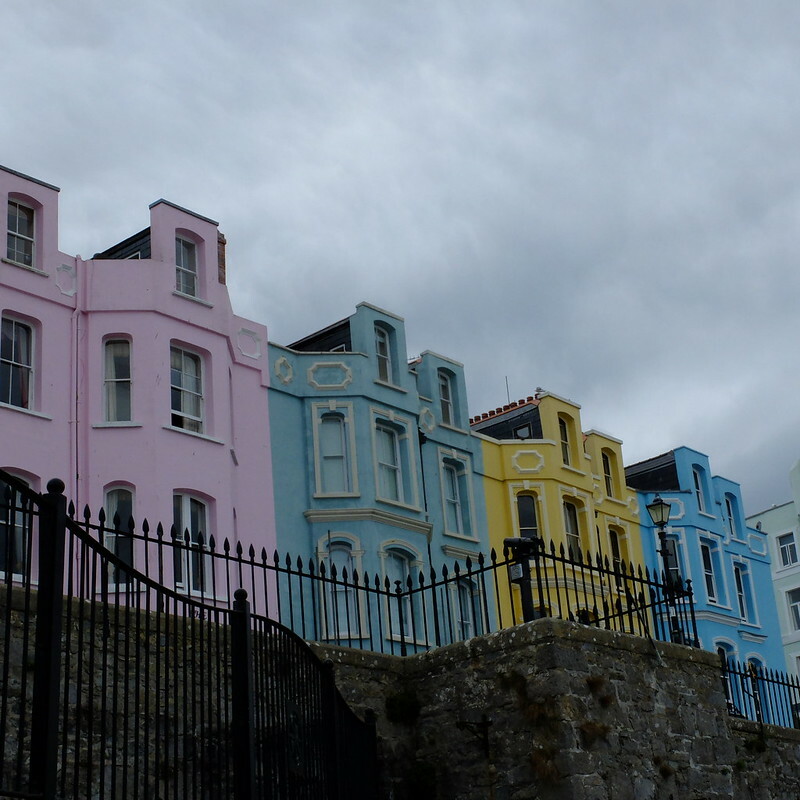 I'm a sucker for colorful painted buildings - beautiful! 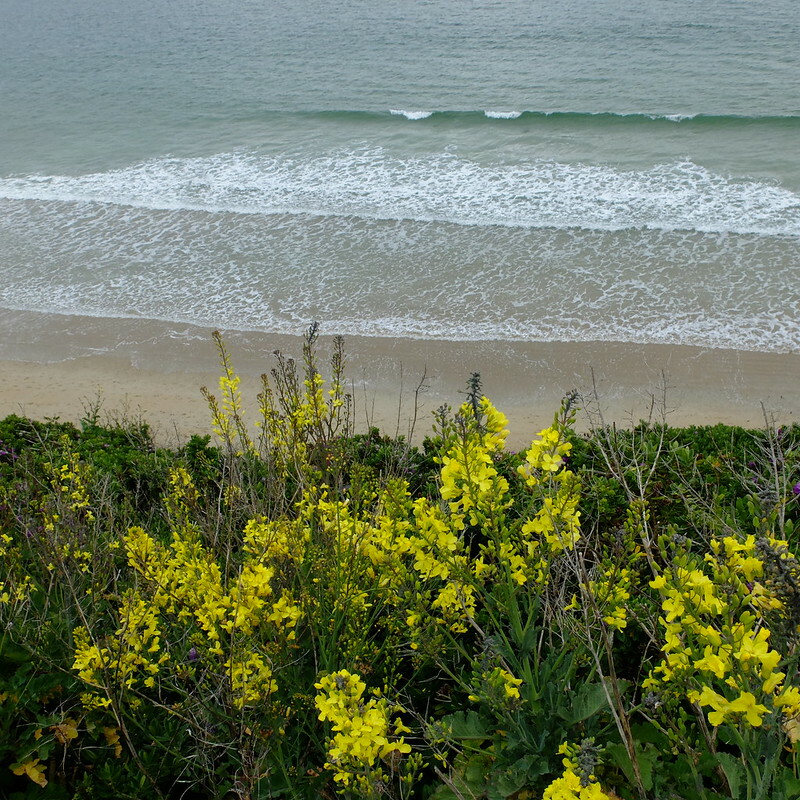 Thank you for linking up with #ReasonstoTravel! Such beautiful photos and things to see! That green house is really impressive! Looks like you had a wonderful holiday!